The Pressurements P3800 Series High Pressure Hydraulic Deadweight Testers are the culmination of over 50 years experience in the design and manufacture of primary pressure standards. With features and options designed to improve accuracy, increase reliability, and simplify operation, the P3800 Series can be used to calibrate virtually any high pressure sensing device including transducers, transmitters, gauges, pressure switches or other calibrators. Three models are available, P3830, P3840 and P3860 offering pressure ranges of 30,000, 40,000 and 60,000 psi respectively (2000, 3000 and 4000 bar). All models are available in two accuracy classes, 0.02% or 0.015% of Reading. 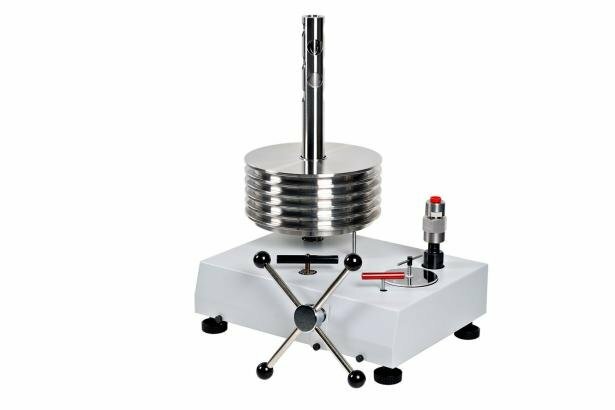 The Series P3800 offers an accurate and economical approach to calibrating high pressure devices. Accuracy1 Standard accuracy is 0.02% of Reading1. Optional accuracy of 0.015% of Reading is vailable. Calibration certificate with traceability to NIST is provided with each instrument. An optional ISO/IEC 17025 accredited calibration certificate is available. 1. Accuracy is based on % of Reading from 10% to 100% of the piston range when used in accordance with the corrections found on the calibration certificate. Below 10%, ± (accuracy class) x 10% of the piston range. Presscal software Windows based software program that allows users to easily apply all necessary corrections to enhance the deadweight tester performance. Supports additional 12 pressure units (bar, mbar, MPa, kPa, psi, kg/cm2, atm, inH2O, mH2O, mmH2O, inHg, mmHg). Conversion weight sets For applications that require nominal pressure increments in measurement units different than the main unit, conversion weight sets are available. Available measurement units are: psi, bar kgf/cm2 or MPa.